KELi Win-dough scraper, courtesy of Craig Kitch. 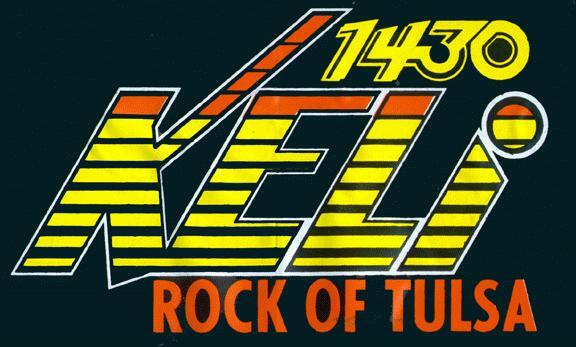 I spent a few years in Tulsa radio at KAKC, KELi, and KXXO (remember the "all disco all the time" format?). My first radio job was at KAKC in the engineering department, working for Larry White (anyone know where he is?). One of my more enjoyable jobs there was running the board for The Un-filmy Can Festival with Jim Millaway, Gary Busey and occasional appearances by Gailard Sartain. 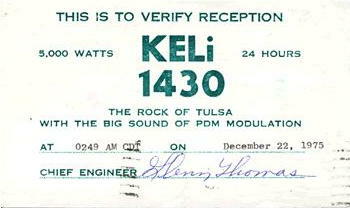 Joe Henderson gave me my first real on-air job, at KELi, in 1976. I started out on weekends and was soon "promoted" to midnight to 6 am. My only claim to fame in Tulsa Broadcast History would be the year I set the world's record for the Longest Underwater Broadcast. KELi gained use of the SCUBA divers water tank in the IPE building during the Tulsa State Fair. Since I was the only jock that was a licensed SCUBA diver, I was elected to do the stunt. The total time was 9 hours, 1 minute, 35 seconds (not sure how I remember that). I grew up in Tulsa listening to Scooter B. Segraves, Dean Kelly and the like. It was truly exciting to meet and work with them in the industry. P.S. 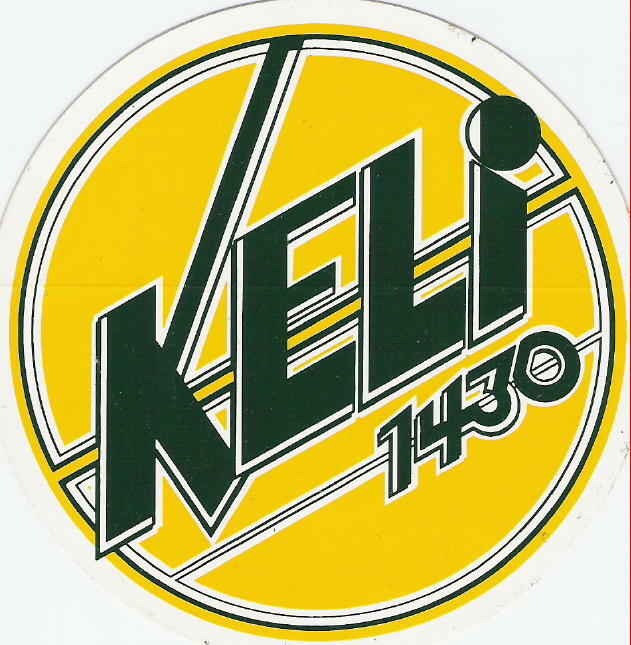 I still have a 1430 KELi Win-dough scraper !!? 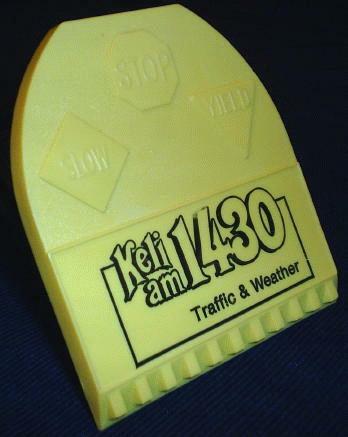 The KELi Window scraper was a promo item we used one or two winters in '77 and '78. The jocks would head out to shopping malls, movie theaters, etc and place them on cars during a snow storm so people would be able to scrape their windshields before getting into their car. I recently had a friend tell me to look at this web site because there was a picture of me at the KELi studios. Sure enough there I was, with hair, I might add. I was Dan Chase on KELi from about the spring of 1976 until the summer of 1977 when I went to Oklahoma City with Dwight Williams, aka Jon Michaels to start KZUE, a sister station to KTOK. 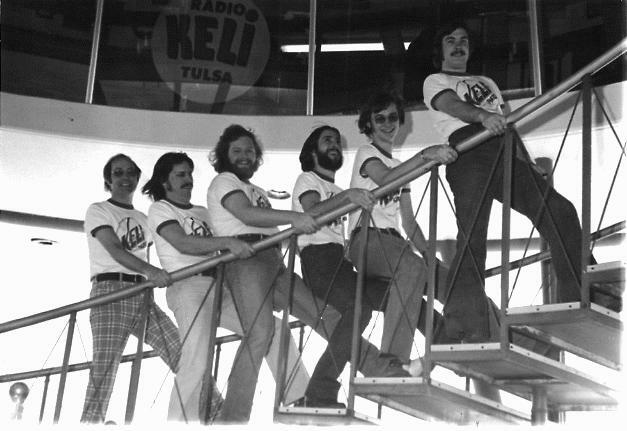 I left radio for a while and then returned to Tulsa and went to work at KRAV in 1983. I worked there for about 4 years as Steve Jackson. 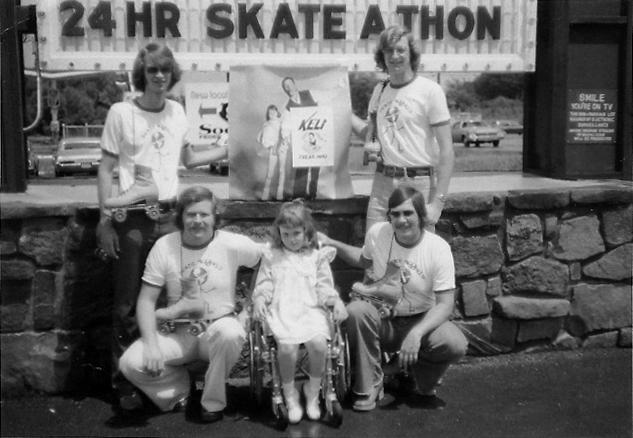 Then in 1987 I was offered the afternoon shift at KVOO-AM 1170 by Billy Parker and then program director Mike Wilson. I worked at both KVOO-AM and KVOO-FM as Steve Jackson until 1999 when I decided on a career change that took me back to school and a degree as an Occupational Therapy Assistant. I currently work for a private hand therapy clinic in Tulsa. There are some good and bad memories of radio, but I still miss the music and the people. 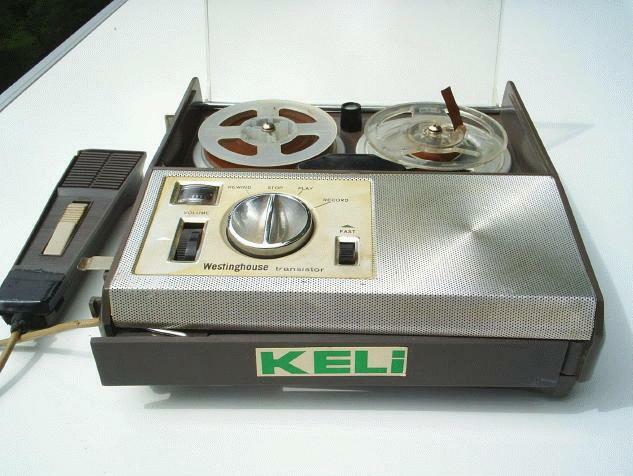 The old reel to reel was used by the Kelly News team before the advent of cassettes. It is approximately 8" X 8" and 3" high. It had been decommissioned by the time I arrived there in 1977. 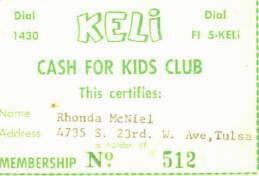 At 15, it was important just to have the "Cash for Kids Club" card in your billfold. You would listen to the radio (KELi) and hope that they would call your phone number and you would have to call them to win the cash. They spelled my name wrong (is was McNeill). But I still carried it. Now, it is in my scrap book.